County of Merioneth: Festiniog (3), Llanbedr, Llandanwg, Llandecwyn, Llanfair, Llanfihangel-y-Traethan (2), Llanfrothen, Maentwrog, Trawsfynydd (3). County of Carvarvon: Beddgelert (2), Dolbenmaen, Llanfihangel-y-Pennant, Penmorfa, Trefblys, Ynyscynhaiarn (2). The population falling within the Union at the 1831 census had been 11,489 with parishes ranging in size from Trefblys (population 78) to Festiniog itself (1,648). The average annual poor-rate expenditure for the period 1834-36 had been £4,208 or 7s.4d. per head. 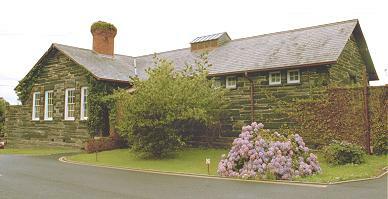 Festiniog Union workhouse was erected in about 1839 at Minffordd to the east of Porthmadog (Portmadoc). The Poor Law Commissioners authorised an expenditure of £3,200 on construction of the building which was to accommodate 150 inmates. The workhouse location and layout are shown on the 1917 map below. The building broadly followed the popular "square" layout with its entrance and administrative block fronting onto the road at the south. This originally comprised just the central two-storey five-bay portion but was later enlarged with single-storey extensions to each side. Festiniog general view from the south-east, 2008. Festiniog entrance block from the south-west, 2008. The two-storey main block at the rear had a central supervisory hub giving views over the various exercise yards. 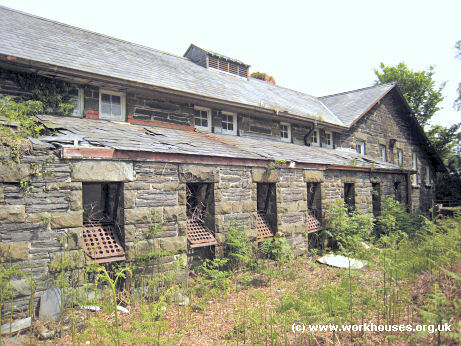 Festiniog rear of main block from the west, 2008. A mortuary was located at the north-east of the site. 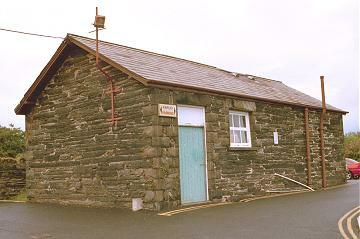 Festiniog mortuary from the south-west, 2000. An L-shaped vagrants' ward was later erected to the west of the workhouse. Festiniog vagrants' ward from the east, 2000. 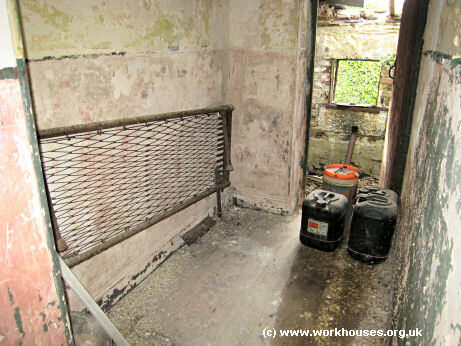 The vagrants' ward accommodation included six combined sleeping/work cells where inmates slept on wire metal beds without a mattress. 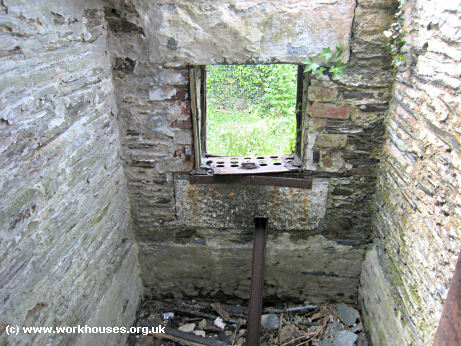 The work cells were used for stone-breaking and had metal grids at the outside through which broken stone was passed when its pieces were of a small enough diameter. Festiniog vagrants' ward from the west, 2008. 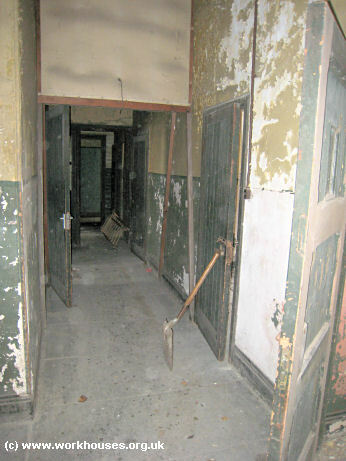 Festiniog vagrants' ward interior, 2008. Festiniog stone-breaking cell interior, 2008. 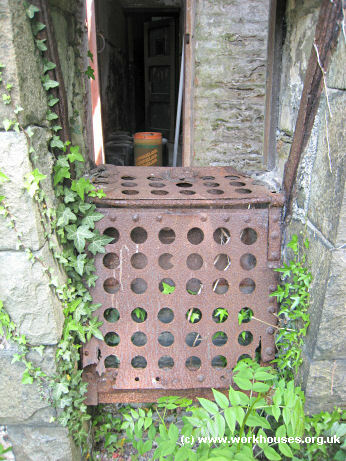 Festiniog stone-breaking cell exterior, 2008. The workhouse had its own piggery where pigs were fattened with waste food from the workhouse and then sold. In 1894, the British Medical Journal set up a "commission" to investigate conditions in provincial workhouses and their infirmaries. Following a visit to Festiniog, the commission's report highlighted the fact that the sole staff employed workhouse were the master and matron who had to govern the house, nurse the sick, overlook the able-bodied, care for the children, admit the tramps, etc. There was no separate infirmary — the sick were housed in cramped quarters within the main workhouse building. There was also a general lack of toilet and washing facilities. The commission strongly recommended the appointment of more staff: a trained nurse who would also be qualifies as a midwife, a night nurse, a porter, and responsible attendants for the infants and the children. They also advised the provision of separate accommodation for the sick, better sanitary facilities, day rooms for the infirm, and an improved lying-in ward. Further details are available in the full report. After 1930 it was redesignated as a Public Assistance Institution, then in 1954 became council-run home for the elderly, accommodating up to 68 residents. The site is now (2008) the Bron y Garth Community Hospital but is understood to be scheduled for closure in the near future. Meirionnydd Archives, Ffordd y Bala, Dolgellau LL40 2YF. Holdings include: Guardians' minute books (1842-69, 1876-1931); Ledgers (1840-1928); Admissions and discharges (1847-54, 1867-85, 1894-99, 1901-8, 1911-28); Punishment book (1898-1918); Register of lunatics (188-1930); Paupers' loan book (1881-1919); Births register (1914-34); etc. BMJ Report on Festiniog Workhouse and Infirmary, 1894.